Middle of March already? Well, hello Spring – you are most welcome around here! The days are brighter and longer and it’s finally stopped raining all the time and I’m really looking forward to spending more time outside, curled up with a book. Reading outside remains one of my all-time favourite things to do and I always feel a little freer when the opportunities come around. But Mondays around here aren’t about my feelings on the seasons but about books, courtesy of Sheila at BookJourney. I’ve been taking part in Magical March (hosted by Adam @ Roof Beam Reader) this month so my reading has had a feeling of the fantastical around it. In the last week, I’ve finished the AMAZING Night Angel trilogy by Brent Weeks by reading the last instalment, Beyond the Shadows. If I could, I would fill my upcoming review with subliminal messaging and compel you all to read it. In the absence of that, I will instead settle for gushing at you all in an undignified manner. During my last trip to the library, I spotted The Man in the Picture by Susan Hill. Since I recently read and loved The Woman in Black (review here), I’ve been re-convinced of Hill’s talent with ghost stories after my less-than-stellar experience with The Small Hand (review here). So far, The Man in the Picture is more in line with the former so I’m hopeful! I’m about half-way through and (unsurprisingly) it’s about a sinister picture with a supernatural edge. I’ve deviated quite a lot so far from my planned reading for Magical March but after I’ve finished The Man in the Picture, I’m going to head back on track and read The Ranger’s Apprentice 1: The Ruins of Gorlan by John Flanagan. I’ve seen a lot of positive reviews for the series and I finally managed to use one of my BookMooch credits to get something I was interested in reading so it had better be worth it! After that, I’m not so sure. Probably the last in the Parasol Protectorate series by Gail Carriger, Timeless. I was really looking forward to the release but now I have the book upstairs in the study, I keep forgetting about it :-s Maybe this week will be its week! 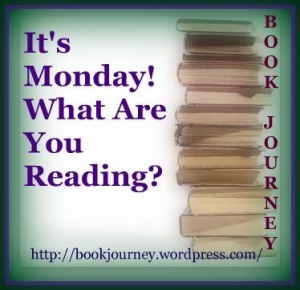 I hope you’ve all had fabulous reading weeks – happy Monday!